The Solar Eclipse is happening on August 21, 2017 and we are super excited! The kids have been counting down the days and getting their viewing gear ready. What’s so special about this eclipse? Well, it’s going to be viewable by all of North America and the path of totality, the area where it will be a complete solar eclipse, cuts across the United States from the Atlantic to the Pacific. According to NASA, the last time there was a solar eclipse that passed through the US was in 1979! That makes this one a big deal! The first thing we’re doing is making a solar eclipse model that the kids can use to demonstrate what actually happens during an eclipse. 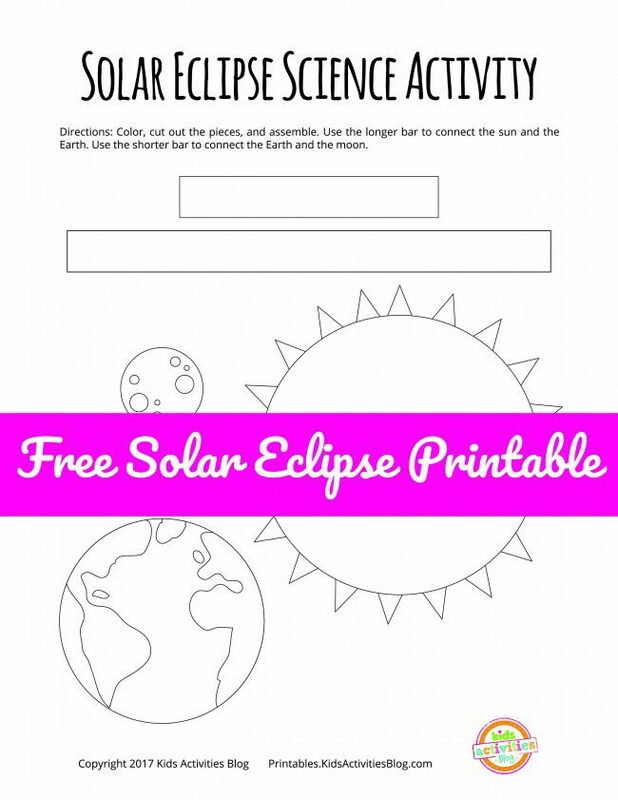 We used the printable below (it’s free at The Printables Library when you register for a free account) and referenced this article from NASA to help explain what happens and how during a solar eclipse. Since we don’t get to see a solar eclipse all that often, the kids had lots of questions about it. What makes a complete solar eclipse? To keep track of all of their questions and what they learned, we used the Solar Eclipse K-W-L Chart. “K” is what you already Know about solar eclipses. “W” is for what you Want to know about them. And “L” is for everything that you Learned about solar eclipses. It’s a neat way to make learning focused and fun! 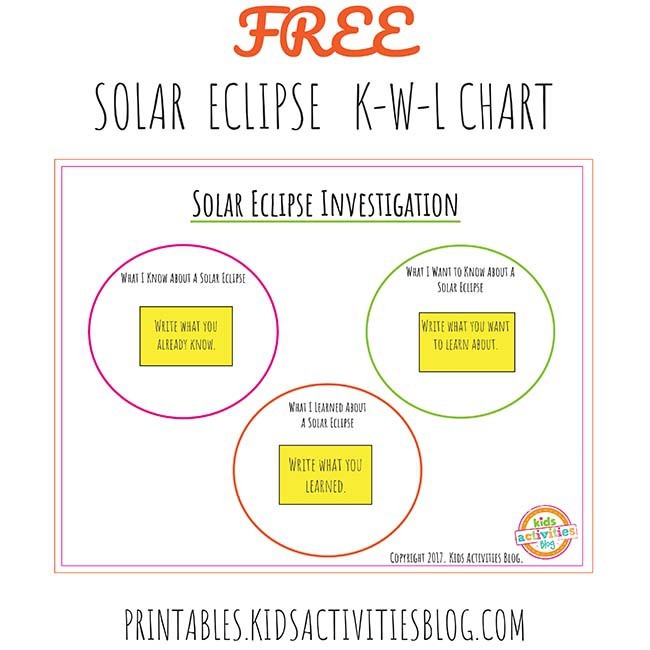 You can download your Solar Eclipse K-W-L Chart for free at The Printables Library at Kids Activities Blog. Since it’s not good to look at the sun during a solar eclipse, we have to find a way around it. This clever solar eclipse viewer is the perfect way to see what happens during an eclipse without ever having to look at the sky! Solar eclipses happen more often than you might expect, but this total solar eclipse is important, because scientists have discovered that they won’t be around forever. Here’s a great, easy-to-understand explanation of what happens during an eclipse! 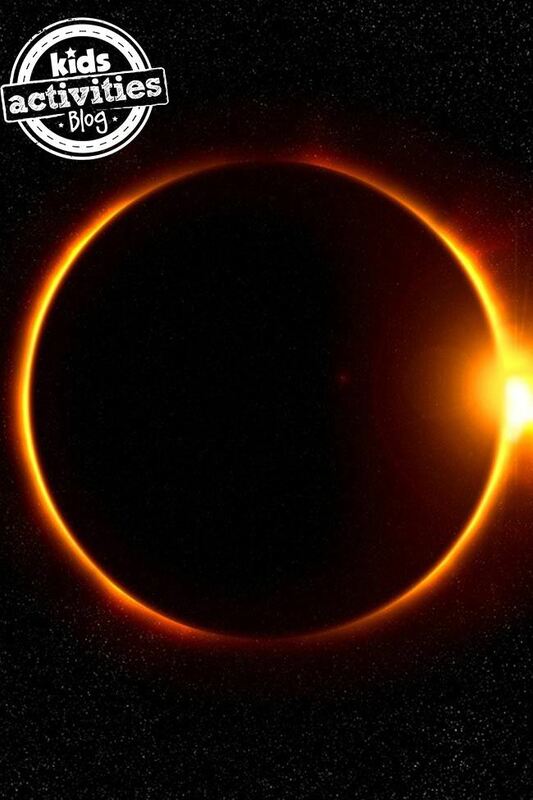 We’re also going to be tuning in to NASA as they do a Live Stream of the Solar Eclipse on the 21st! They have a bunch of different places where you can catch the broadcast, but you can find a complete list of them here. What are your plans for the solar eclipse? The post Solar Eclipse Activities for Kids appeared first on Kids Activities Blog.